FeCrCo magnets impress with an extremely high dimensional accuracy, as well as an outstanding ductility and toughness. 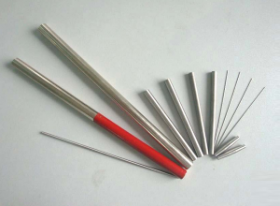 Flexible machining is thereby easily ensured, so that various and complex shapes in different sizes with highest precision can be produced (wires, strips, rods, tubes, etc. ).